In Stock. Sold by E-discounted and Fulfilled by Amazon. Gift-wrap available. Sold by E-discounted and ships from Amazon Fulfillment. Sold by Major Goods and ships from Amazon Fulfillment. 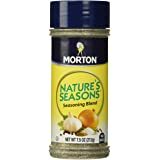 This perfect blend of onion, garlic, salt, pepper and other natural spices brings out the flavor of fresher, lighter foods without overpowering them. 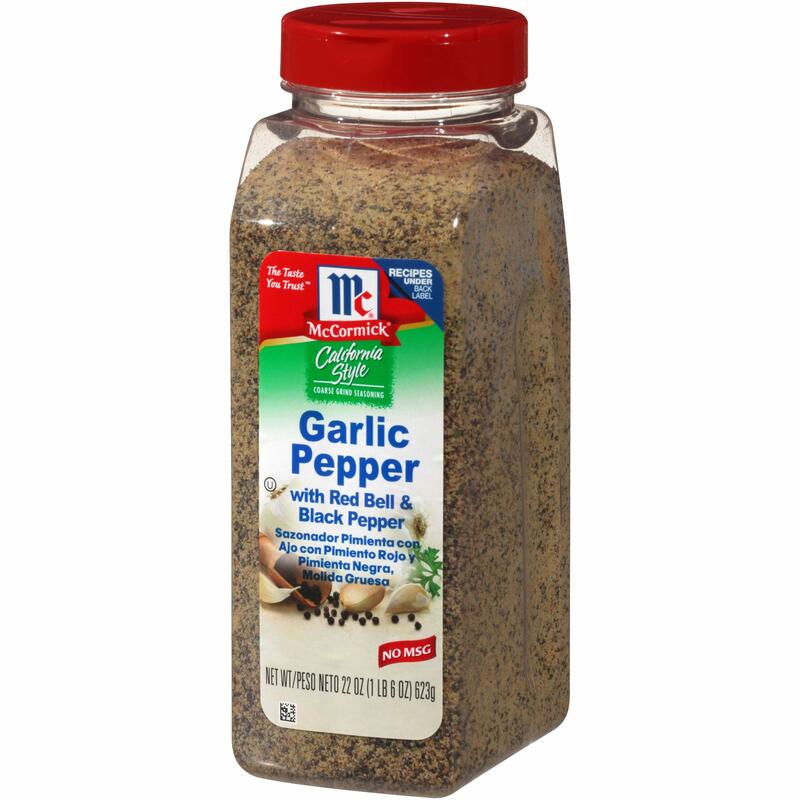 Use it on chicken, fish, vegetables, pasta and even salads. Try it in dips and salsa and as a topping on freshly baked bread and rolls. MSG-free. 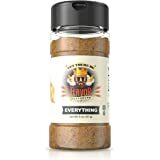 Ingredients: Salt , Potassium Chloride, Black Pepper, Sugar , Spices, Natural Onion Flavor, Natural Garlic Flavor, Parsley, Celery Seeds , Calcium Silicate, Magnesium Carbonate. 3.0 out of 5 starsSugar! 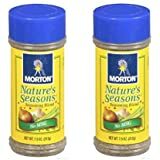 I so loved the "normal" Nature's Seasons (see my 2017 review) that I forgot to check this reduced sodium version. Am now stuck with 3 bottles of stuff in which the 4th ingredient, before onions, garlic, parsley etc., is SUGAR! I could taste it immediately and am intensely annoyed at this. If somebody wants salt, why would they want #$%^ sugar??? Check the ingredients before you buy! 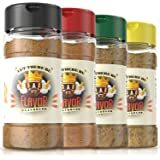 5.0 out of 5 starsFantastic spice, my family’s go-to! Yummy! 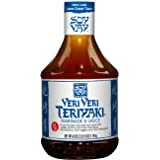 A family favorite that I couldn’t get in any local grocery store now that I’ve moved to rural Montana. Glad to find on amazon, and the three pack is perfect. One for the kitchen on for the table, and one for taking with lunches! 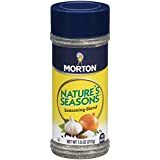 Love nature’s seasoning blend. 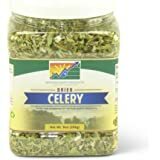 We use it on everything and it’s perfect for a variety of dishes. 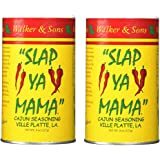 It’s hard to find in store as it sells out a lot and I rarely see the low sodium blend. 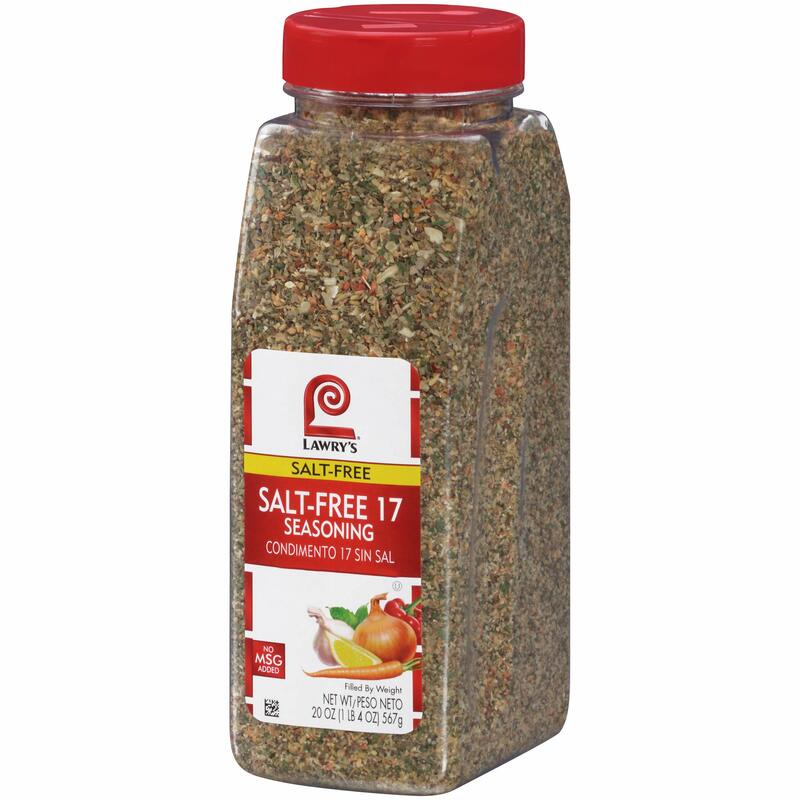 Thanks to amazon we can have great flavor without the salt. And the cost of a 3pack is reasonable as compared t9 the store. JUST RIGHT AMOUNT OF EVERYTHING TO COOK AND SEASON. 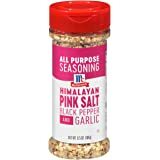 Love this as an all around seasoning that is very hard to find in stores! 5.0 out of 5 starsEvery Kitchen needs this. Love this season. 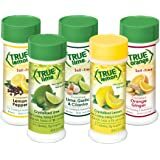 Perfect blend for all dishes, meats. 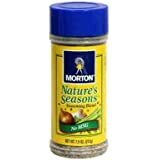 I use this seasoning for everything and a little goes a long ways. I love the lower sodium and cannot taste the difference between the regular and lower sodium!